As of approximately 3:50 we believe all Jaspernet Services to be functioning normally in Miguel hall. 2:55PM - ITS has identified a failed network component in Miguel Hall. WIFI and "newer" network connections remain UNAFFECTED. 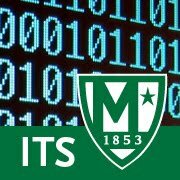 Currently only some "older" connections in Miguel hall are offline. ITS is working to replace the failed component. 2:39PM - ITS has received reports of network issues in Memorial and Miguel Halls. We are currently investigating and will have an update shortly.